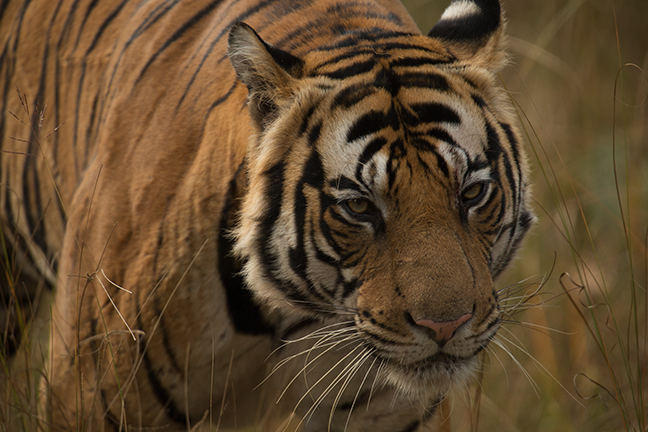 Over the last century, hunting and habitat destruction have reduced tiger populations from hundreds of thousands to less than 3,000 animals. 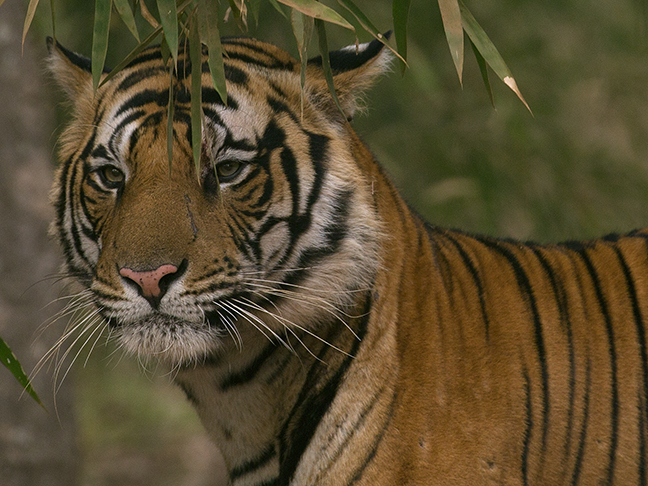 Bengal Tigers are the most common tiger species and number about half of all wild tigers. 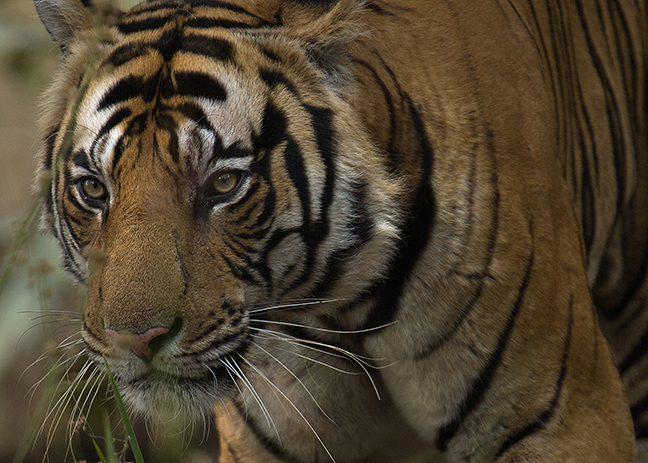 The greatest threats to their survival are the illegal trade in body parts and the lack of sufficiently large habitats capable of supporting diverse and viable genetic populations. 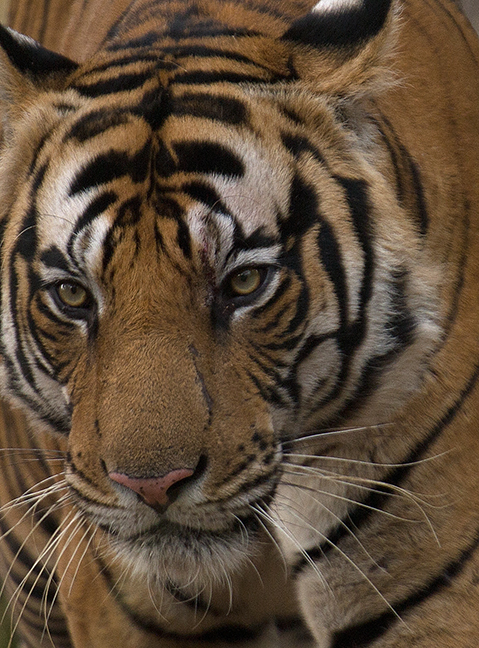 Tigers are carnivores. 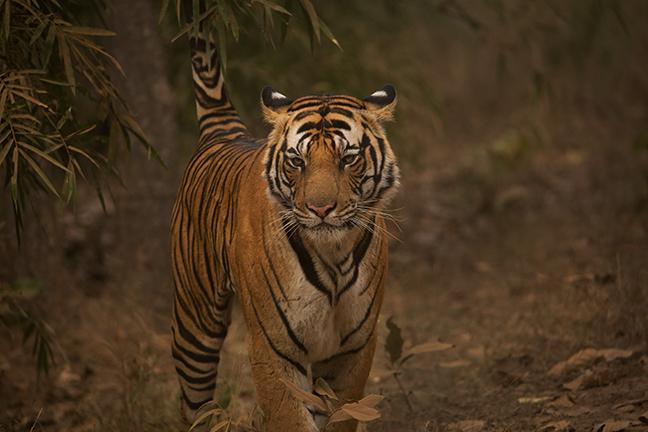 In Bandhavgarh, they hunt ungulates such as spotted dear, sambar and gaur, as well as wild boar and grey langurs. 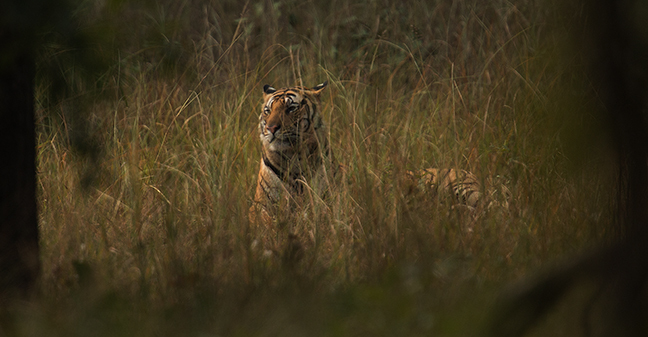 Cubs rarely hunt before they are 18 months old and remain with their mothers for two to three years. 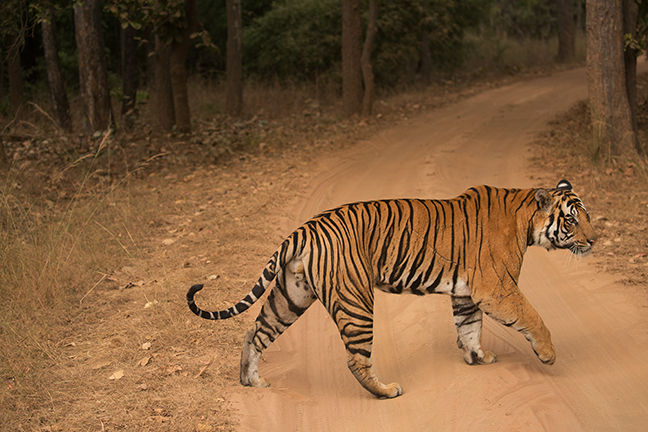 Bandhavgarh National Park is where Maharaja Martand Singh caught the last known wild white tiger in 1951. The tiger was bred in captivity and produced numerous white tiger cubs that were sold to various zoos. In June 2011 the board of directors for the American Zoological Association formalized their 2008 ban on the breeding of white tigers by their member zoos. White tigers only exist by continual inbreeding, such as father to daughter, brother to sister and mother to son. All white tigers are cross-eyed and this multigenerational inbreeding results in physiological defects, early deaths, stillbirths and cognitive abnormalities. 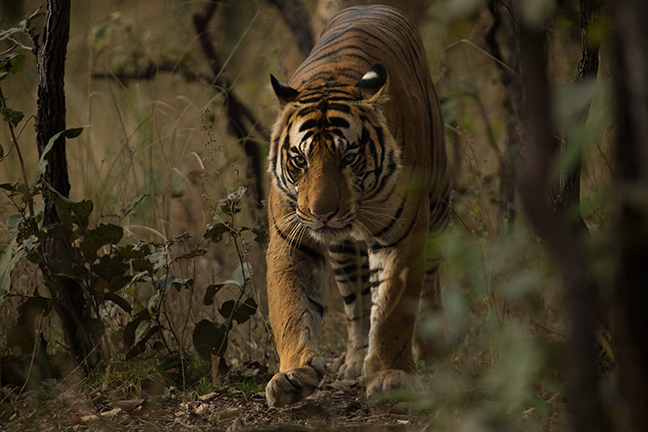 In the Umaria District of Madhya Pradesh in central India lies Bandhavgarh National Park, home of India’s densest population of Bengal Tigers. The park is divided into three zones and those are subdivided into multiple routes. Permits are issued for jeep safaris that pertain to a specific route within a specific zone for either morning or evening access. Hours are limited and limiting with regular tourists being locked out of the park before dawn, during mid-day and after dusk. All vehicles must be driven and guided by Forest Department personnel who are threatened with suspension and fines for crossing into the wrong zone or onto the wrong route, speeding, not exiting the park in time and a variety of other potential offenses. Vehicles must stay on the roads at all times and foot and bicycle security officers constantly patrol the roads. 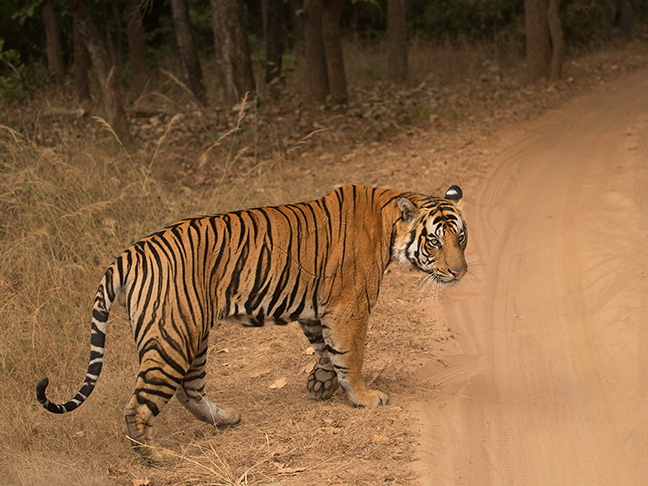 Tigers use the same roads to traverse the park, so the presence of these government patrols is, at best, a detriment to wildlife viewing. One morning we observed them removing a recently killed fawn from the road, throwing it deep into the brush out of site, as we sat patiently waiting for a predator to return and scavenge the carcass. It is unclear as to their actual purpose, but very clear that they have superiority over drivers and guides, who fear suspension, and care little for the viewing experience of tourists. It is a mystery as to how your driver and guide are selected, as they rotate with each drive. Most do not speak English, so unless you speak their local language, you’re not going to ever understand what is going on during your drives. In addition to coming across a random tiger walking on the road, the other way to find tigers is find a convoy of a dozen jeeps fighting for position along the and aside the road. 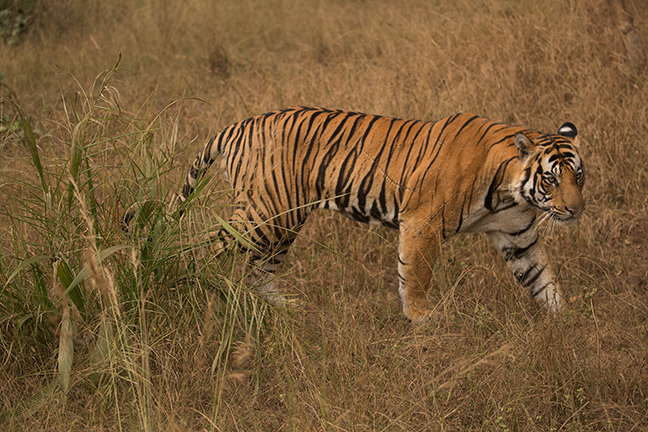 Tiger sightings draw a crowd, even though drivers and guides are forbidden from carrying radios. Of course, they have cell phones and word gets around quickly. 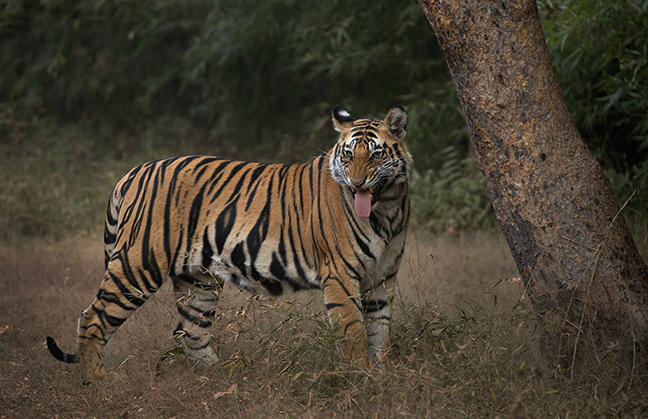 The Park is closed annually from July 1 – October 15 during the monsoon and breeding seasons.